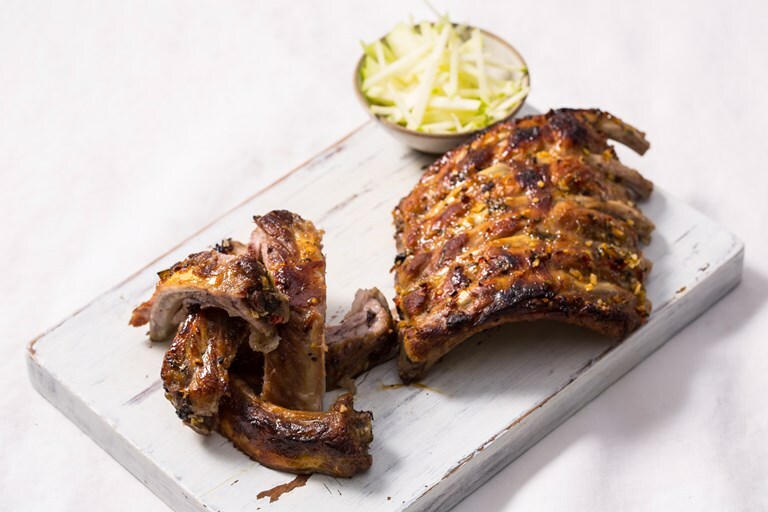 Marcello Tully serves up sticky pork ribs in this mouthwatering barbecue recipe. The ribs are marinated in garlic, ginger and lime then grilled until lightly charred and perfectly tender. If you don't have access to a barbecue you could finish cooking the ribs in a hot oven.